Our November live seminar is THIS Saturday! Find all the details below. Our November seminar is THIS Saturday! At this seminar, we'll be working with printers and showing you all the ways you can make them work better for you. We'll also be talking about smart phones, emails and what's new in the Google Chrome browser! We hope you'll join us! Question: "I use Windows Live Mail for my email. I'd like to upgrade to the newest version but I can't find anything newer than 2012. Can you help me?" Answer: Windows Live Mail is part of a Microsoft suite of products called Windows Essentials which also includes Messenger, Photo Gallery, Movie Maker, Writer and OneDrive. There has not been a new version since 2012 and there won't be any more updates of the suite. In fact, support for Windows Essentials ends on January 10, 2017. That's not far away at all! 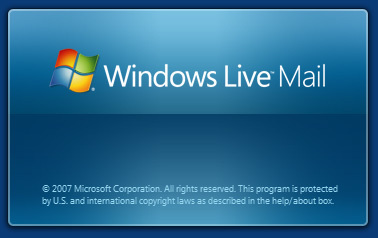 If you are currently using Windows Live Mail or any of the other software programs in the suite, you need to start looking for a replacement. Only OneDrive will survive after January 10th and that's because it's built into Windows 10 and also available as a separate download. If you already use OneDrive you won't have to do anything! To see what you can use in place of each program in the suite, like HERE.